← Candidate #10- Strange Brewing Company, Denver, CO. 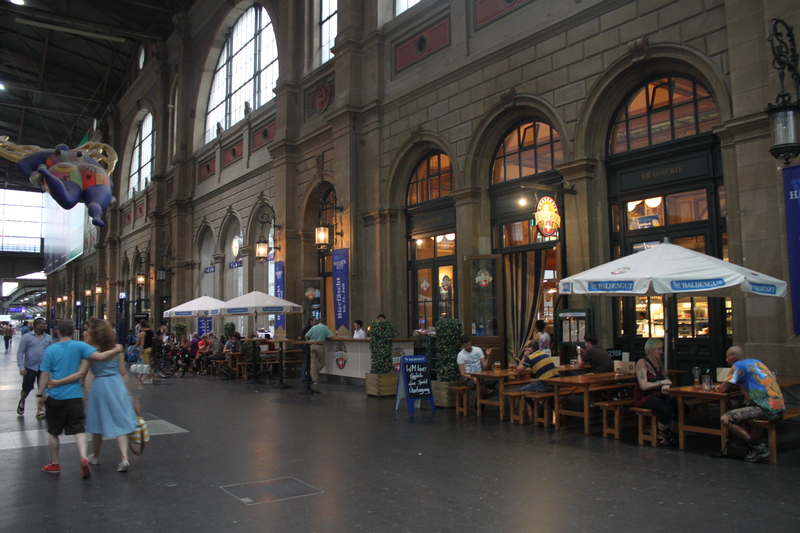 Whenever I want to get mugged, I go out for dinner in Zurich. 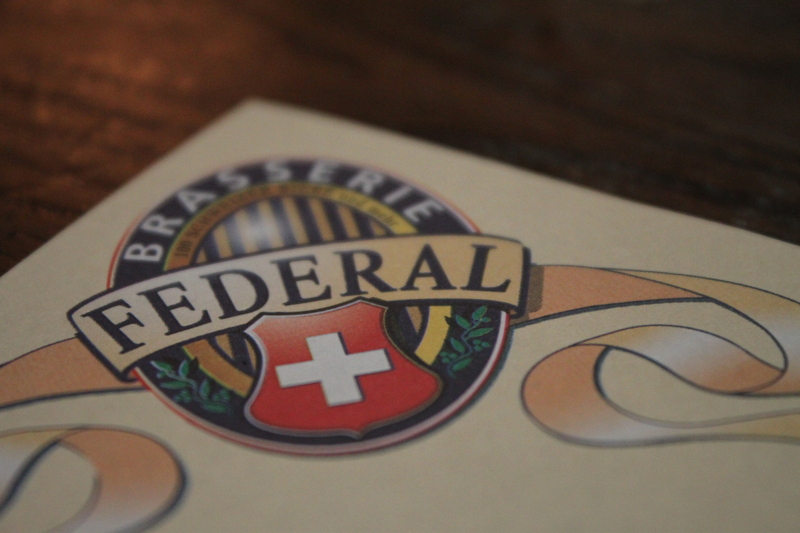 It’s hard to understand why Brasserie Federal doesn’t work. The shell of the building is exquisite: sweeping arched windows, stained-glass roof, perfect people-watching opportunities. But then there is the shiny silver turnstile leading down the tasteless ‘marble’ stairs to the bathrooms (two francs please), the laminated sheet of Word art with blue toilet people acting as a sign, the miserable hot lamp attendants ambling around the ill-advised el fresco kitchen. 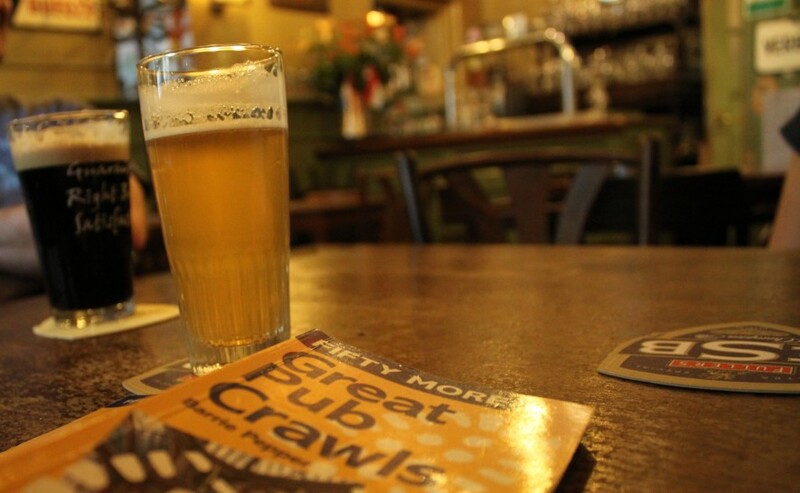 There are around 100 beers, but they needn’t have bothered. Much of the list is like choosing between Heineken and Amstel; hardly Sophie’s choice. 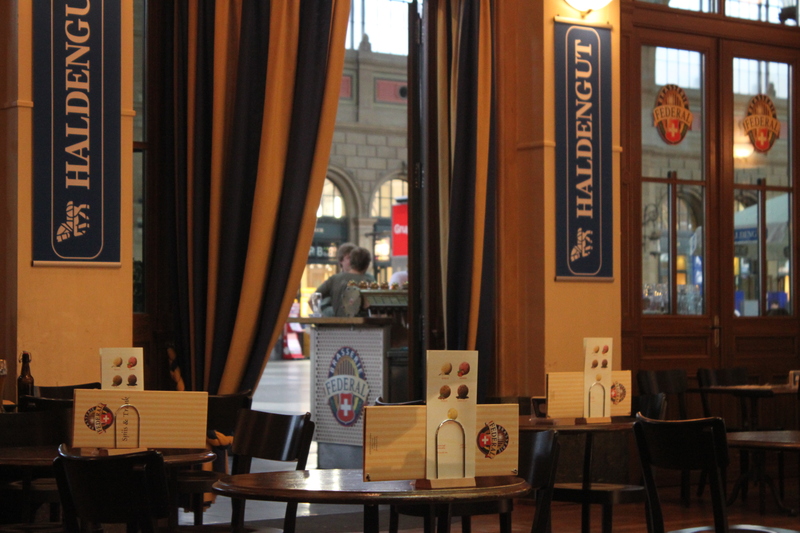 There are glaring omissions from this Swiss beer list: Storm & Anchor, I’m looking at you. At best, the microbrew scene in Switzerland can be described as inchoate, but quality is still there. Just not here. 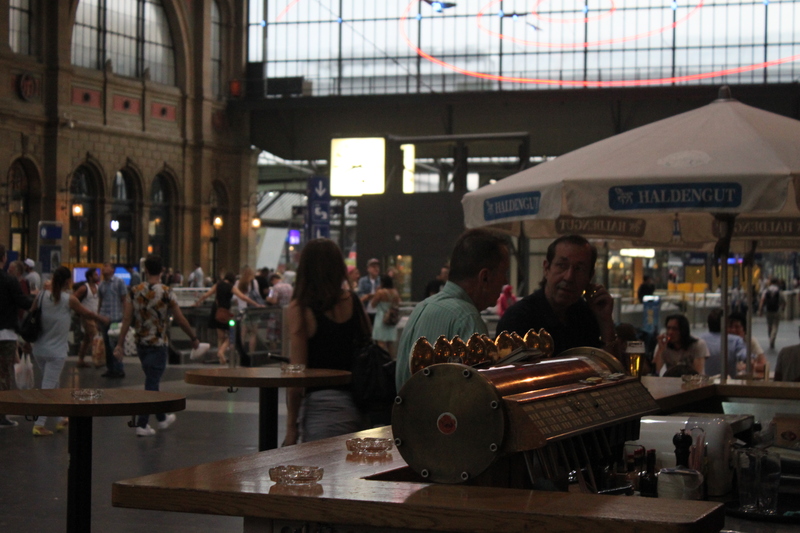 The Mousetrap (a tiny bar beside a British cheese shop) and Fork & Bottle (American-run family-friendly restaurant with an incredible beer garden) are your best choice in Zurich for Swiss beers. 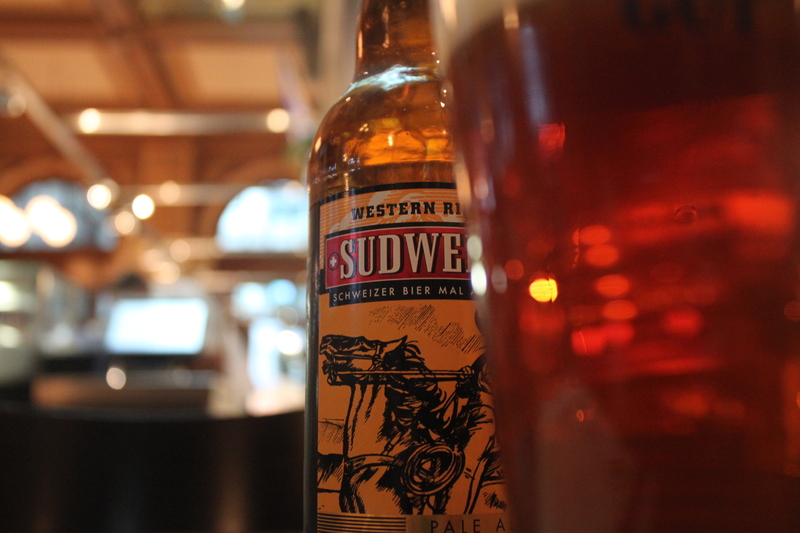 Yep, an English and an American place serve the best Swiss beers. The service is quick, in tune with their customers’ needs, which is somewhat refreshing in Switzerland. My waiter was particularly friendly, striking up a conversation with ease, seemingly happy to speak English with the tourists (you’d think he’d get bored of that). Convenient, and a top, top people-watching area. But the inside is generic, worn, and hard to take a picture of that makes it look impressive. Probably the widest selection of Swiss beers. But why bother? Not even the best bar in Zurich.